We are delighted to bring to the market the newest phase of the Hanover Hill Development, built by renowned local developer McAlorum's. Hanover Hill Gardens is traditionally constructed to the new insulation regulations, the development is ideally located in the Hanover area. 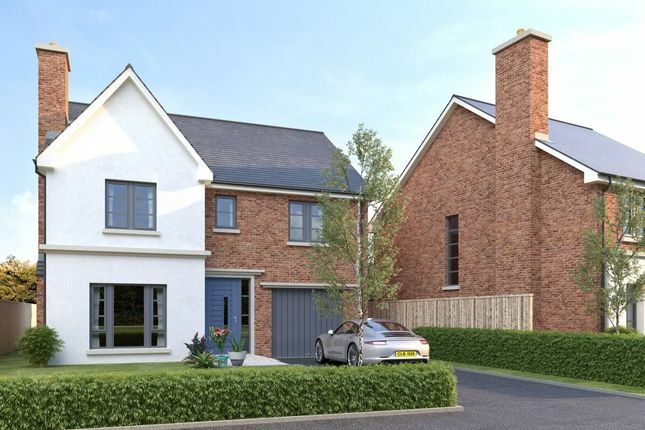 These simply lovely turnkey detached properties are within close proximity to Bangor Town Centre, the new Bangor Grammar School, bus and rail facilities and local primary and other secondary schools. Internally the emphasis is on free flowing family living with elegant light filled accommodation, externally they are traditionally designed in keeping with their surroundings. This is a chance to live in brand new turnkey accommodation. An opportunity not to be missed. Property descriptions and related information displayed on this page, with the exclusion of Running Costs data, are marketing materials provided by Reeds Rains - Bangor, and do not constitute property particulars. Please contact Reeds Rains - Bangor for full details and further information. The Running Costs data displayed on this page are provided by Homes24 to give an indication of potential running costs based on various data sources. Homes24 does not warrant or accept any responsibility for the accuracy or completeness of the property descriptions, related information or Running Costs data provided here.